The Building Division strives to assure the compliance of structures and other development throughout the City with California Building Codes, the primary objectives of which are safety, accessibility, and energy-efficiency. These objectives are met by way of plan review, building permits, field inspections, and a variety of code enforcement activities, as well as partnerships with local agencies including El Dorado Irrigation District, El Dorado County Fire Protection District, El Dorado County Environmental Management, and the El Dorado County Assessor. City Code: 4-1-5 : AMENDMENTS TO THE CALIFORNIA BUILDING CODE (CBC); CALIFORNIA RESIDENTIAL CODE (CRC): CBC section 1505.1.1 and CRC R902, Roof Coverings Within Very High Fire Hazard Severity Zones, shall be amended to read as follows: "The entire roof covering of every new structure, and any roof covering applied in the alteration, repair or replacement of the roof of every existing structure shall be a fire retardant roof covering that is at least class A." CBC section 1607A.11.2, Reduction In Roof Live Loads, shall be amended to read as follows: "No reduction in roof live loads shall be allowed." 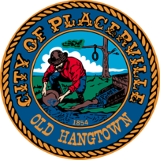 CBC section 1608A.2, Determination Of Snow Loads, shall be amended to read as follows: "The roof live load for snow shall be (20) twenty pounds per square foot for all areas of the city of Placerville." Click here to access the El Dorado County Assessor's parcel information database. Click here to contact the El Dorado County Building Department - please contact us to verify whether a parcel is within Placerville or El Dorado County. Click here to research current California Building Codes. As of January 1, 2017, the Building Division is enforcing the 2016 California Building Codes .